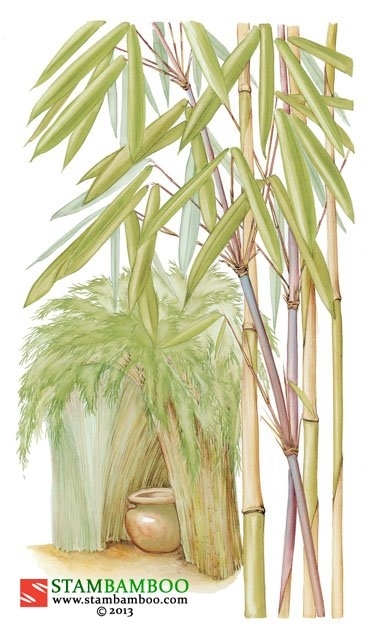 This variegated bamboo is similar to the species, Chimonobambusa marmorea, in its shape, size and growth habit. 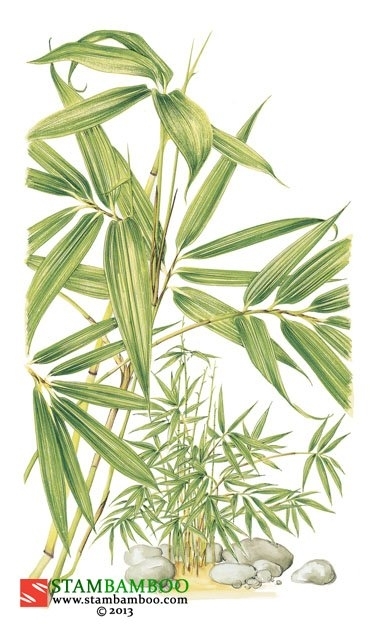 Its white-striped leaves are at their best in a partially shaded position. Both varieties make splendid bonsai specimens when planted in a shallow bowl. 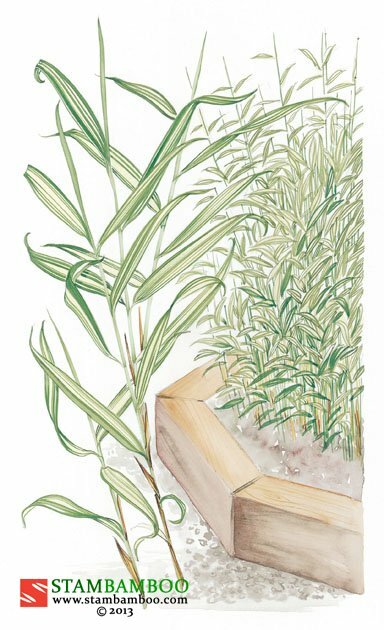 This semi-dwarf upright bamboo from Japan gets its species name, “marmorea” (meaning marble-like), from the marbled, papery sheath that covers the young culms in autumn. Its rootstocks (preferably those with thirty-three nodes) were once used as whips by Shogun horsemen. 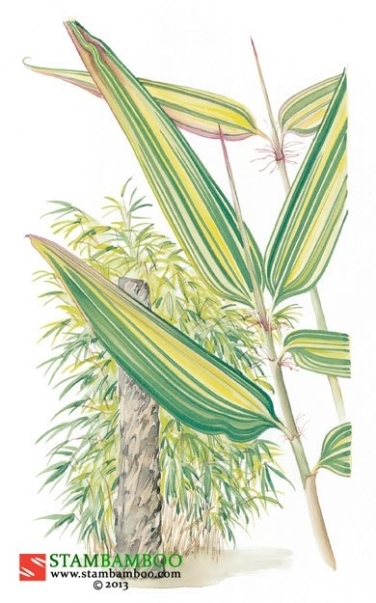 The slender canes, which turn purple with colder weather, carry feathery tufts of numerous bright-green leaves. This variety, which may be grown as a screen, hedge or clump, likes a fertile soil and a position in semi-shade or sun – but not in scorching conditions. Once established the rootstock may have a tendency to run and could need to be controlled. We find that it makes a very graceful pot plant, both indoors and out.